BERLIN/STOCKHOLM -- Volkswagen Group will buy a controlling stake in truckmaker Volvo Group's WirelessCar, a digital service developer specializing in connected driving, for 1.1 billion Swedish crowns ($122 million), the companies said on Wednesday. 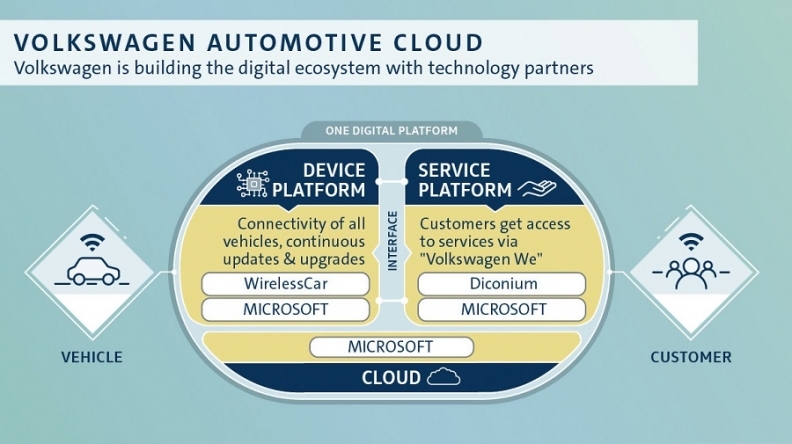 VW said WirelessCar technology would further its goal of developing value-added services for customers by enabling safe and stable data exchange between operating systems in its cars and a cloud platform it is developing with Microsoft. The German carmaker will buy 75.1 percent of WirelessCar in the deal, which will allow Volvo to focus on commercial vehicles, its core business since it sold Volvo Cars in 1999. Volkswagen has said it aims to invest more than 11 billion euros ($12.6 billion) in electric vehicles, digitalization, autonomous driving and mobility services by 2023, with the bulk earmarked for electric cars. WirelessCar has its own technology platform and develops digital services like billing and safety and emergency breakdown services for customers including Jaguar Land Rover, Daimler, Nissan and Volvo Cars. The company has more than 3 million active connected cars across the globe and is expected to report revenues of about 500 million crowns in 2018, Volvo Group said in its statement. Volkswagen said it targets sales of more than 1 billion euros from 2025 through the WirelessCar platform, excluding possible vehicle sales via the digital platform, which will be accessible on mobile phones or on in-car devices in some models starting next April. Volkswagen's digital shop will offer services such as its parking app We park, its car trunk delivery service We deliver and its car sharing services We Share or Moia. Customers will also be able to book functions on demand, such as map data for specific countries or auxiliary heating in winter months, VW said. The platform for registered Volkswagen customers will also be open for third-party vendors, such as suppliers of music, movies and other infotainment. The WirelessCar deal still has to be approved by antitrust authorities and is expected to close during the first half of 2019. On closing, the divestment would result in a positive impact on Volvo Group's operating income of about 1.5 billion crowns and on cash flow of 1.1 billion crowns, Volvo said. Volkswagen has an option to buy the remaining share in WirelessCar, it said, adding that it can also imagine keeping Volvo Group as a shareholder.